(The animal enzymes usually required for cheese production.) No help from an older, wiser dairy farmer! It's as easy as making a cup of coffee. 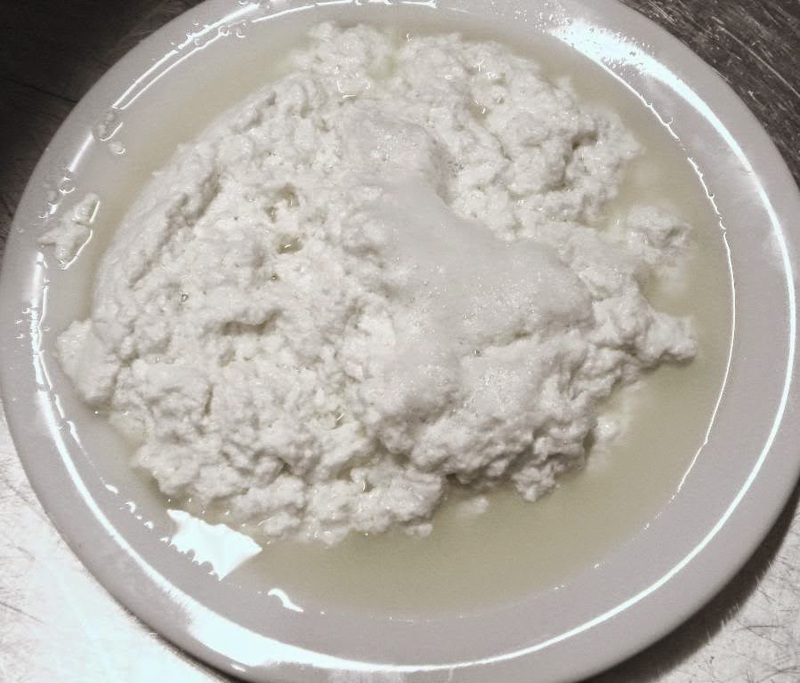 In less than 70 -80 minutes, you'll have a ball of soft, fresh white goat cheese. 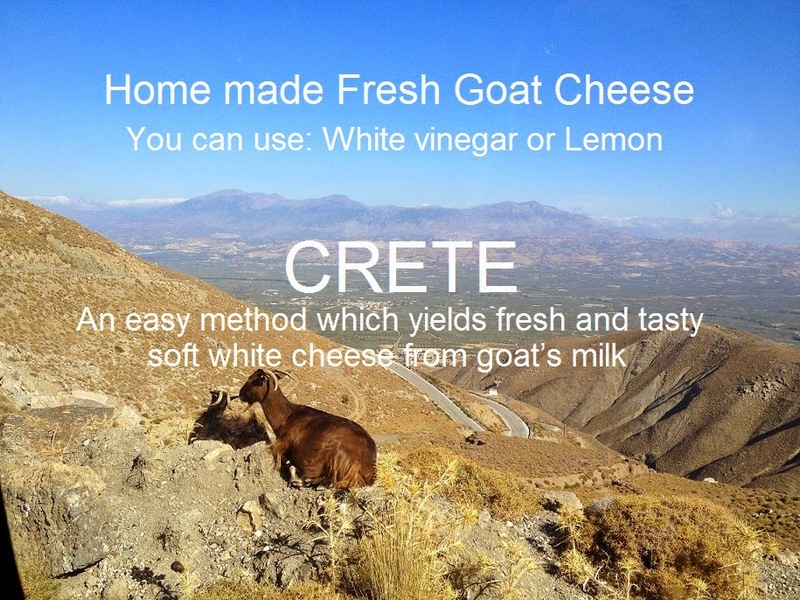 Try to get the milk -either sheep, goat or a combination fresh from the farm. 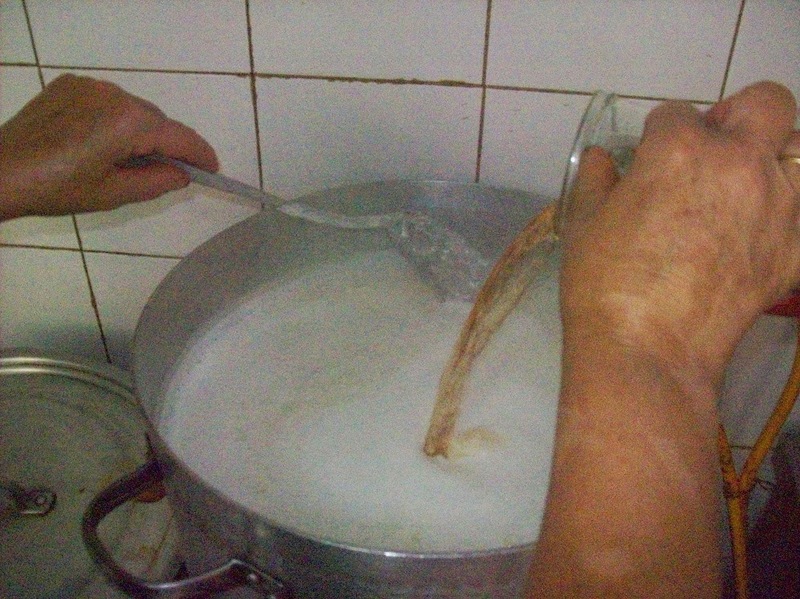 If not possible to have access to farm-fresh milk, try the pasteurized goat’s milk which I believe can be found in some health / specialty food stores. 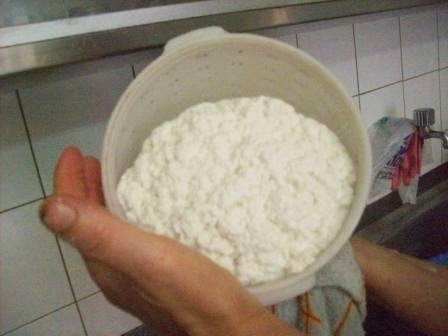 Try to get whole goat’s milk which is more flavourful. 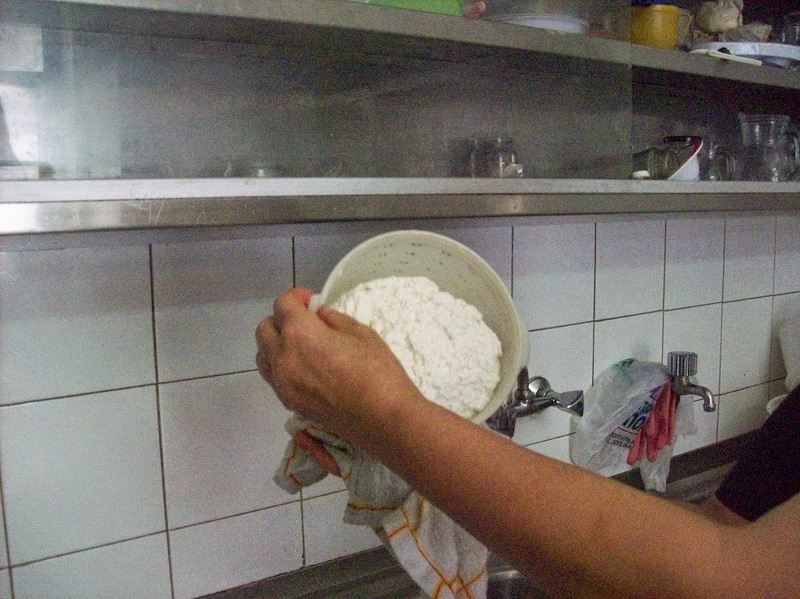 Cheese makers use rennet. Because is hard for an individual to get them the easiest and closest object can replace rennet is vinegar or fresh lemon juice. In this recipe we used vinegar! 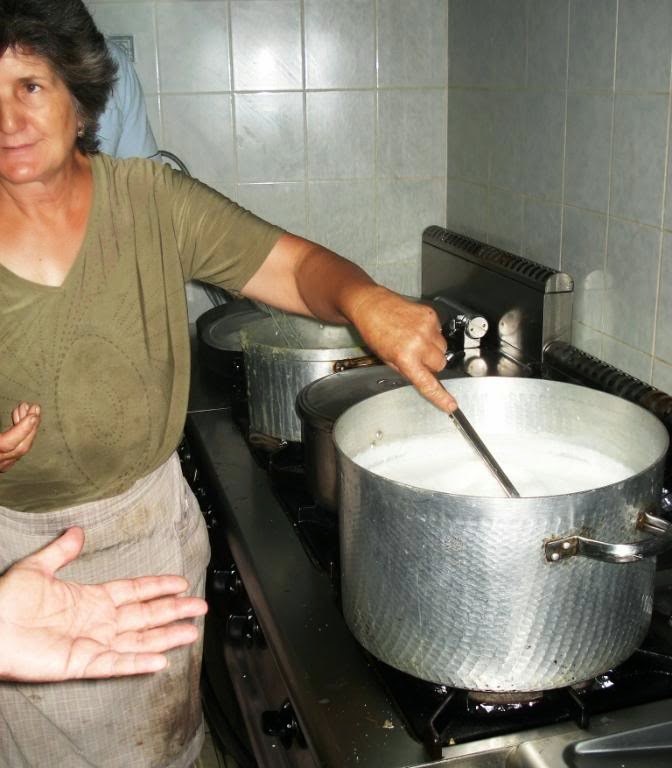 In this recipe, the acid in the vinegar curdles the heated goats' milk. 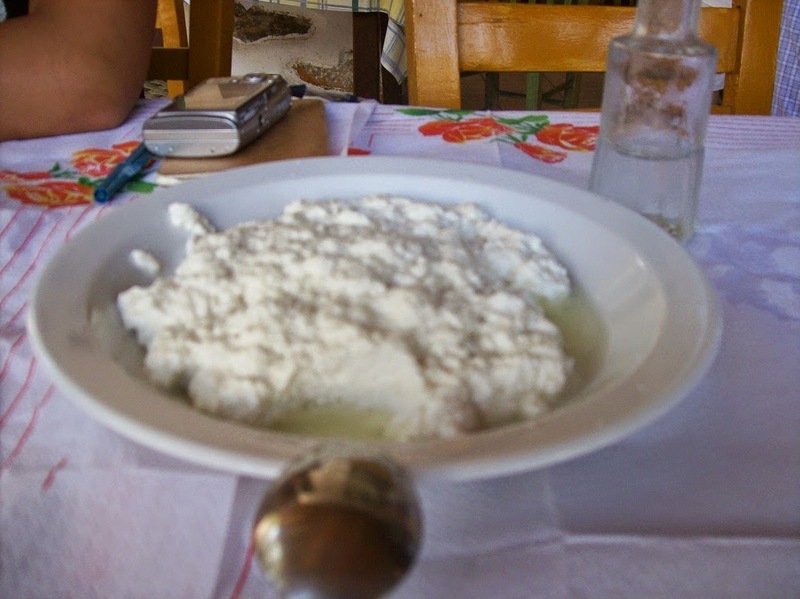 Once the liquid is drained away from the curds, you have a basic but tasty version of goat cheese. 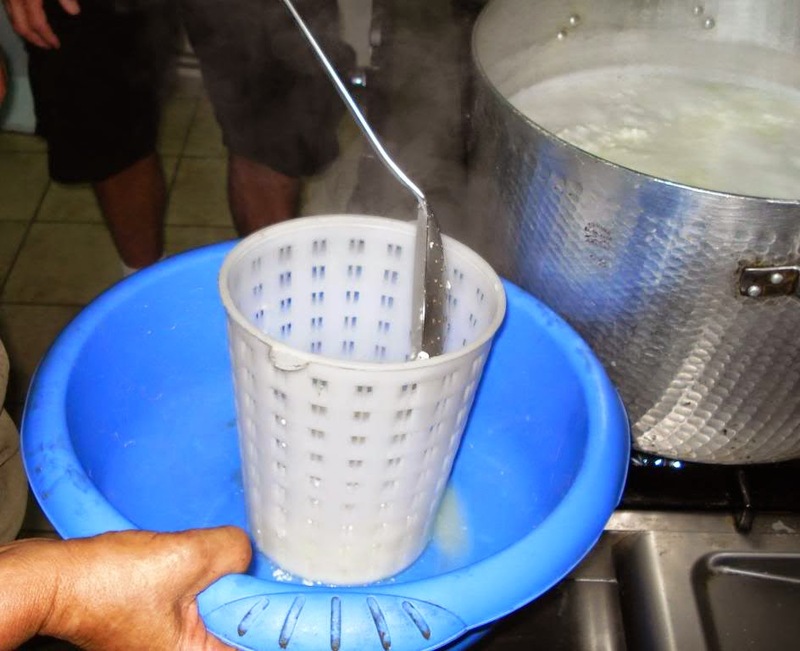 Make sure all your equipment is washed and sterilized with boiling water. Slowly heat the milk until it reaches a temperature of 90C (195F). 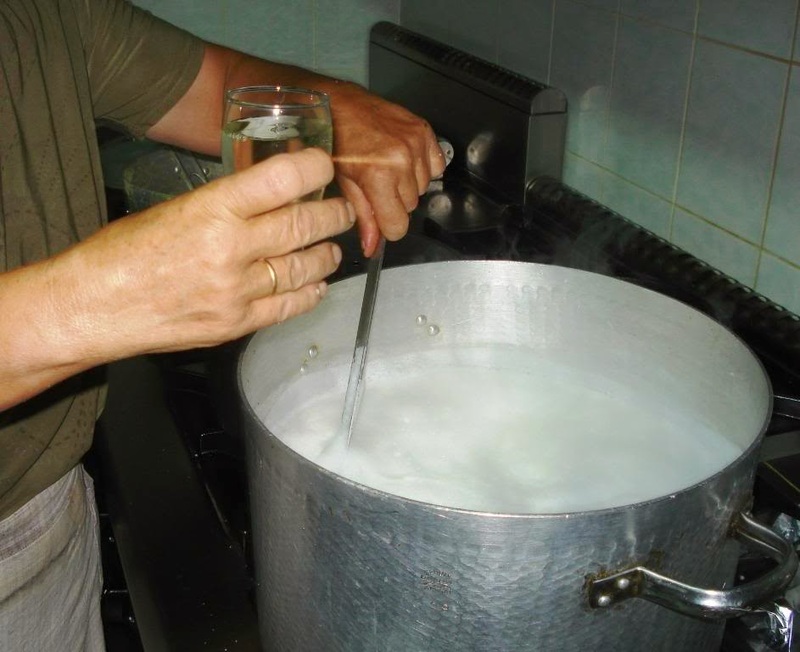 Remove the milk from the heat and let cool a couple of degrees to 88C (190F). Slowly add the vinegar a spoonful at a time, gently stirring. 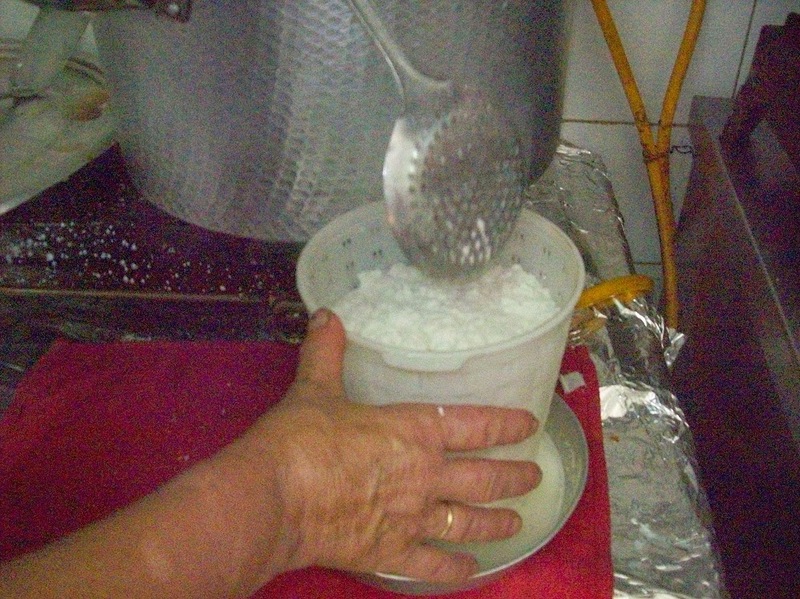 until the curd (white solids) separates from the whey and let stand for about 20 min. 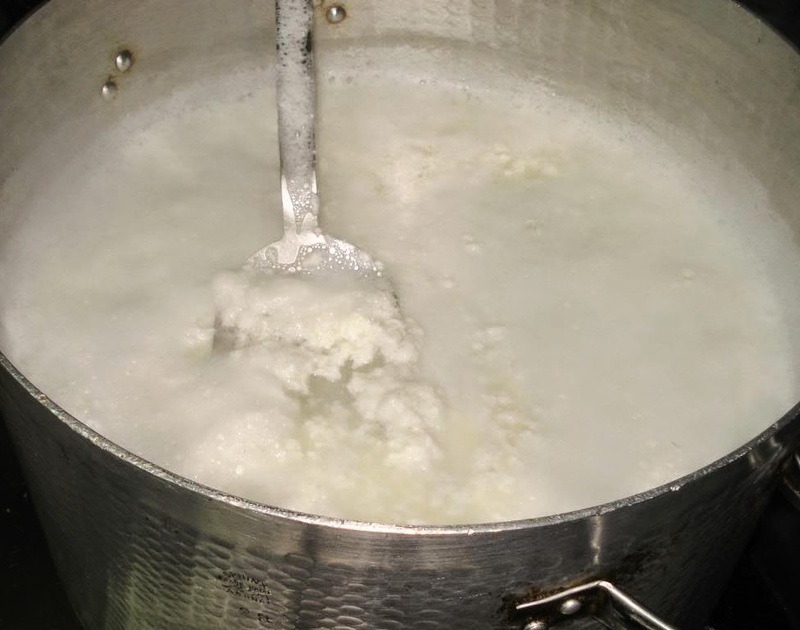 Using a slotted spoon, slowly ladle the curds into the ball and let drain for 30 min. Sprinkle the curds with the salt and give it a quick mix. Slowly press the cheese forcing the curds into a solid ball. Αναρτήθηκε από George Portokalakis στις 10:28 π.μ. George Portokalakis 3 Δεκεμβρίου 2014 - 10:50 π.μ.